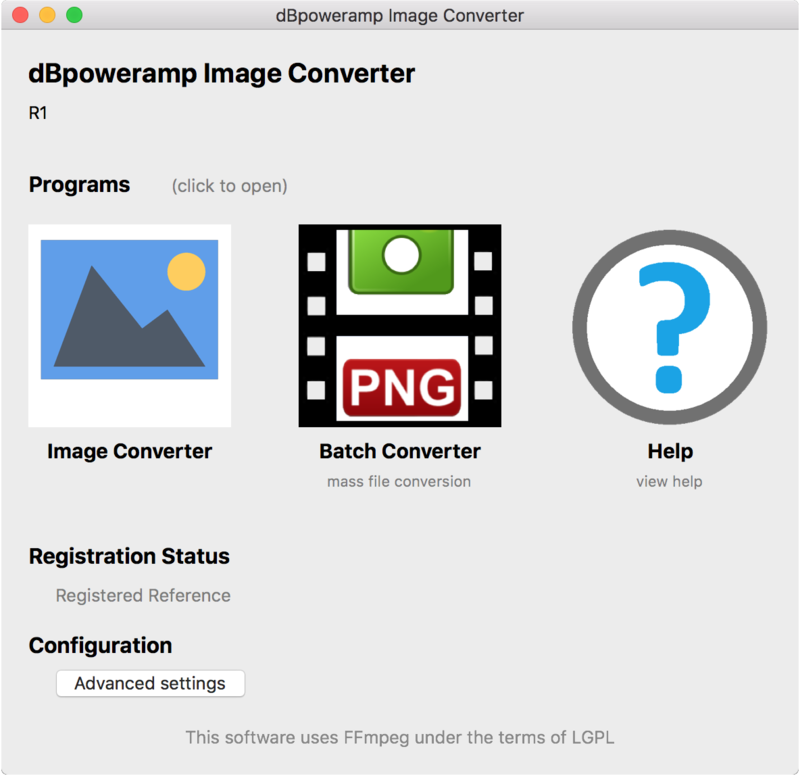 dBpoweramp Image Converter converts pictures effortlessly, supporting the major formats including: Bitmap (BMP), GIF, JPEG, Portable Network Graphics (PNG), TIFF and Webp. Process images, for example resize whilst converting, or batch convert folders of images in a few clicks. Download the Image Converter DMG installer to your computer, double click to open, when presented drag the dBpoweramp Image Converter over to the applications icon. Once installed find dBpoweramp Image Converter in Launchpad.